I don’t have a traditional story. But I have learned three things in my career thus far that I think every accounting student should know. First, though, you need to know my story. I went to The Ohio State University (yes, I used the “The” — it is part of the official school name, after all 🙂 ). Upon arriving, I knew I wanted to be a sports management major. But with a growing popularity and a shrinkage of job opportunities, I realized that this was a hard field to crack into. Having been around CPAs my entire life, it felt right to couple sports management with accounting, an area with a vast range of paths and job opportunities. So there I was, on my way to be an NFL CFO … or so I thought. I made it through the dreaded Intermediate Accounting (barely), had two public accounting internships and graduated, albeit not with honors. Following graduation, I went to work at a top mid-sized firm in the audit department. It was amazing to me the number of things I learned in that first year. No accounting class in college could really fully prepare me for the learning that would take place. During that first year and into the second, I studied for and passed the CPA exam. I can’t tell you how critical it was for me that I started this early in my career. I grew as a staff, and in the beginning of my third year was promoted to senior. The work load and responsibility grew and I began to buckle under the pressure. I could do the work, but it became increasingly burdensome for me. Then there was my light-bulb moment. While sitting in our annual CPE training, my colleagues and I each took an assessment to determine our “time style.” The results: My style was highly relational being categorized as “spirited” and “considerate.” My fellow seniors were on the opposite end of the spectrum, all being categorized as “direct” and “systematic.” My focus, my “why,” was completely and fundamentally different from everyone else in my environment. I was in the wrong job. I loved my firm, liked my job (some days), and technically, I was able to do it. The problem was, it was draining me in a way it wasn’t draining others. It wasn’t the long hours or the complex information overload. It was the lack of utilization of my strengths that drained me. You can learn to do anything, but if you continuously work against your natural gifts, the ones that give you energy, you will get burned out, quick. Achieve: as a learning consultant for the MACPA and the Business Learning Institute. Now that you have learned about me, here’s what I want you to learn from me. I recently spent some time with the Beta Alpha Psi group at Salisbury University. The time was brief but impactful and brought up three overarching themes. First, information overload: Accounting is the language of business and the dictionary is just too big. Second, the CPA exam: How do I tackle this monster? 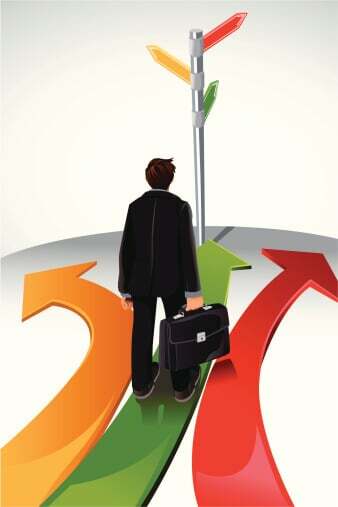 Third, the career path: What do I need to do NOW to get there, LATER? I will work my way through these three topics in my next three blog posts. Hopefully, sharing my knowledge and experience will help accounting students Connect, be Protected, and Achieve. Leave a comment or question to help continue the conversation.